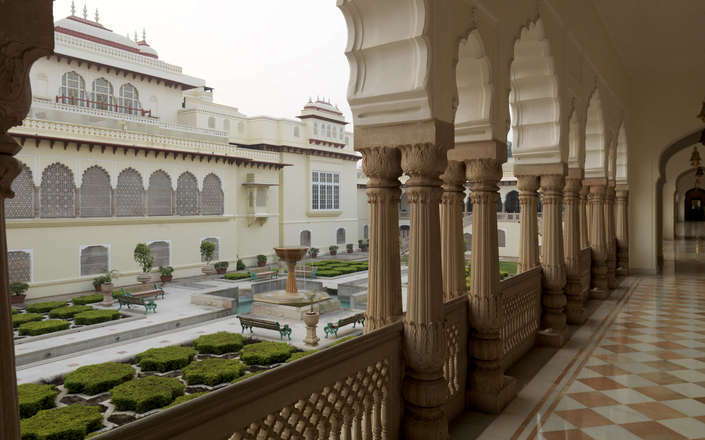 Once the private residence of the Maharaja of Jaipur, the 19th century Rambagh Palace is set amongst 47 acres of lush manicured gardens and is a fine example of grand and ornate Rajput palace architecture. 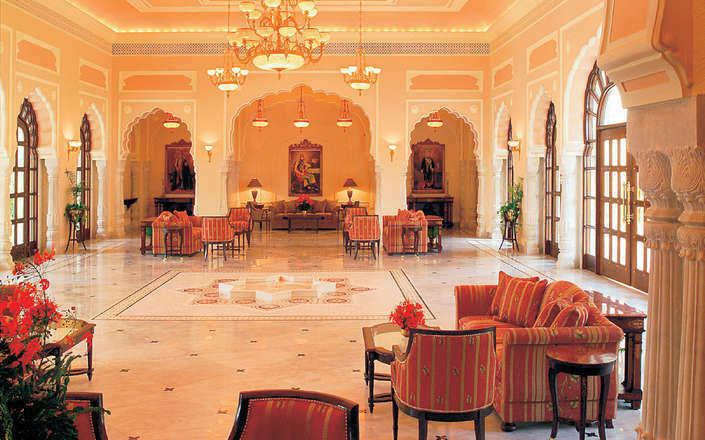 Set in the heart of Jaipur, the Taj Rambagh Palace offers a palatial experience and exudes an unmistakable sense of history. 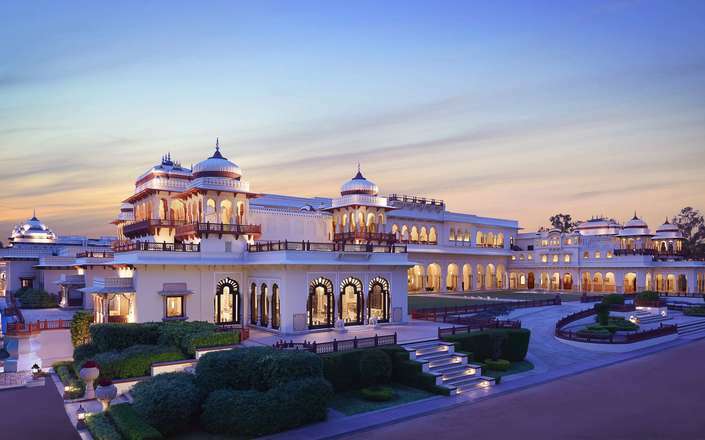 With rich textures, opulent furnishings, exquisite objets d’art and surrounded by expansive, ornamental gardens the public areas of Taj Rambagh Palace have retained their palace atmosphere. 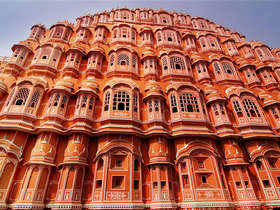 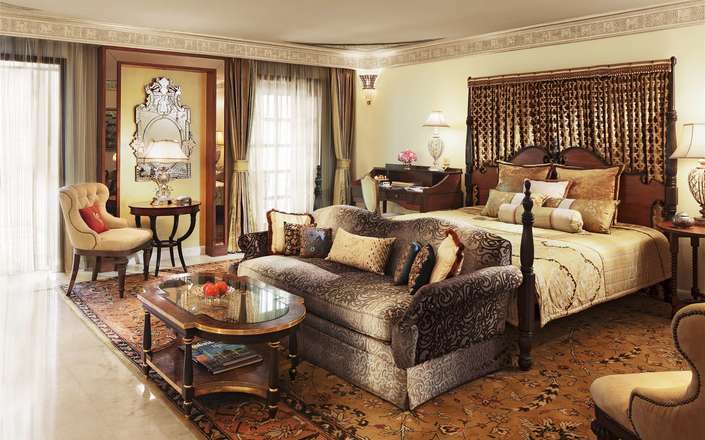 The 79 rooms and suites are beautifully restored with opulent interiors in keeping with its regal past. 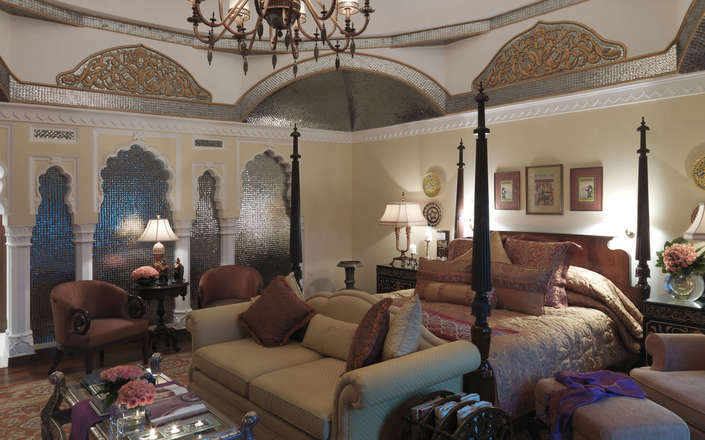 Each of the richly renovated rooms and suites has been individually designed and provides the highest levels of comfort and luxury. 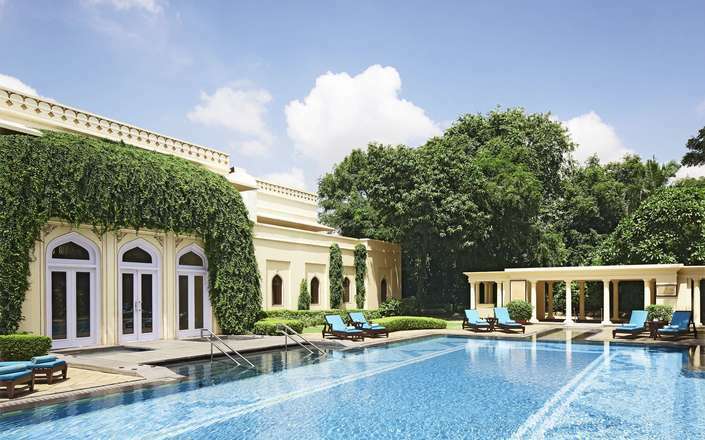 While the Luxury and Palace Rooms offer guests a taste of the palatial experience; the Historical Suites have terraces overlooking the gardens and come with a personal butler. 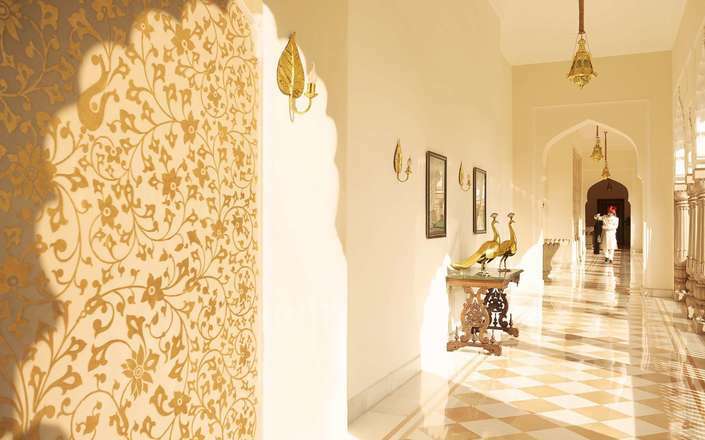 The sumptuously decorated Royal Suites and Grand Royal Suites were once the personal chambers of the Jaipur Royal family and are lavishly decorated to offer guests a glimpse into the royal lifestyle. 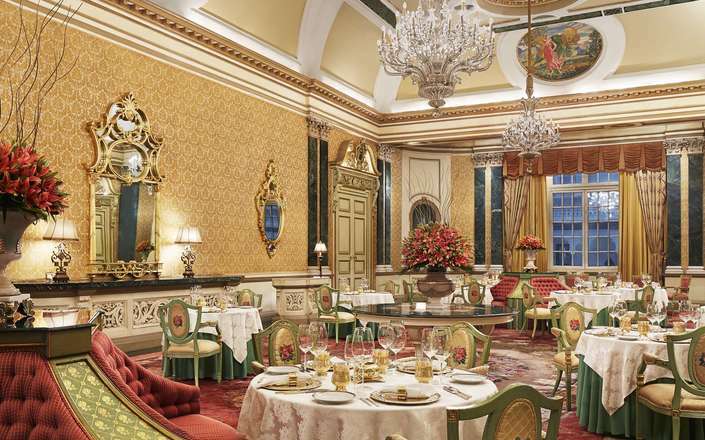 The Pothikhana Suite (Home of Books) decorated using rich upholstery draws inspiration from Buckingham Palace and is designed to remind guests an old-fashioned library; while The Peacock Suite with its vibrant motifs and magnificent contemporary styling is truly exceptional. 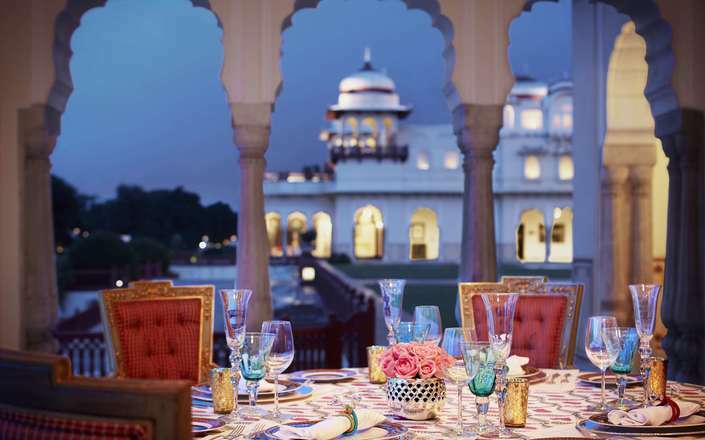 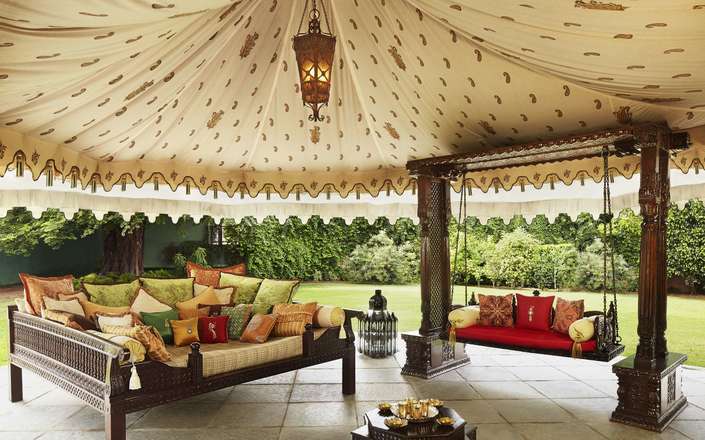 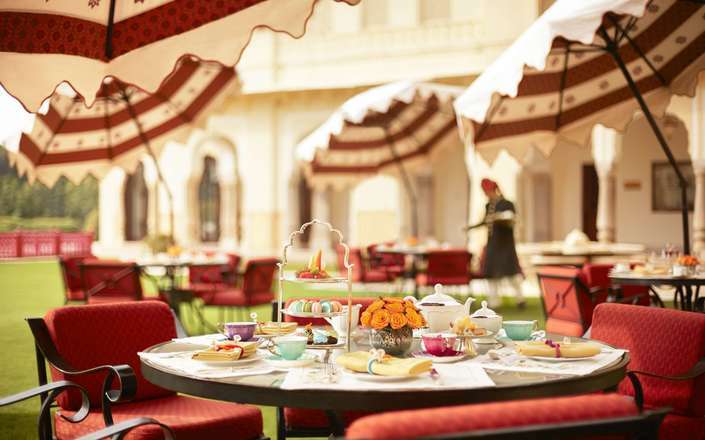 The Taj Rambagh Palace offers guests a varied dining experience from exotic Indian cuisine at Suvarna Mahal, informal all-day-dining at the Rajput Room; afternoon champagne tea and pre-dinner cocktails at The Verandah. 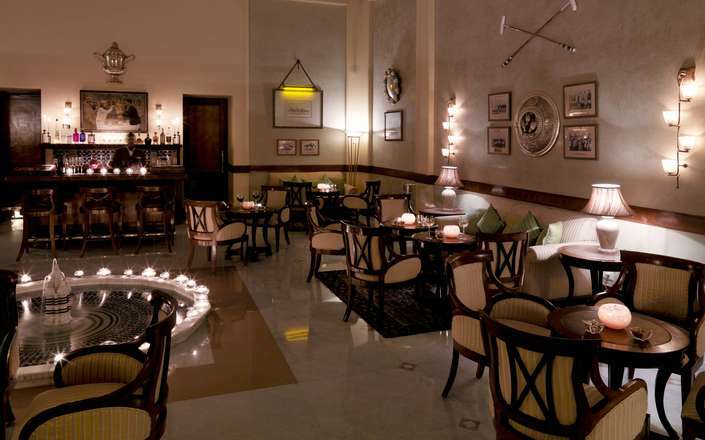 The Polo Bar has been immortalised in many a travel and fashion journal and is adorned with trophies and polo memorabilia and serves up signature cocktails inspired by the royal sport. 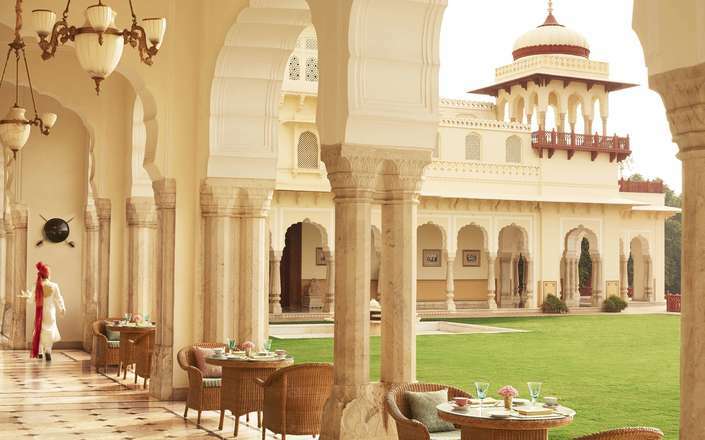 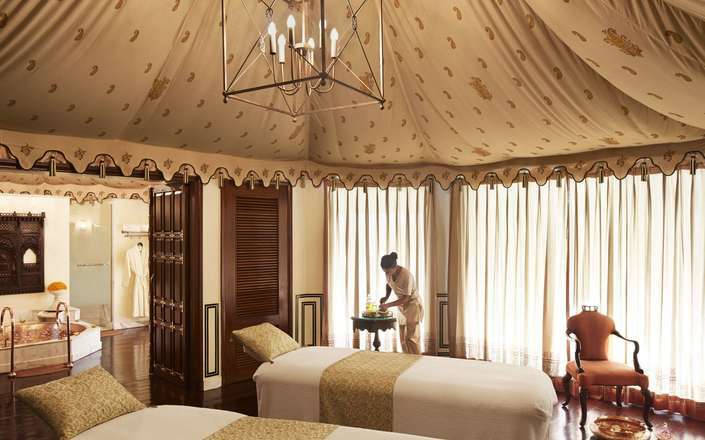 Other facilities at the historic Taj Rambagh Palace include an outdoor and indoor swimming pool, a well-equipped fitness centre and the Jiva Grande Spa offering a range of Ayurvedic as well as aromatherapy. 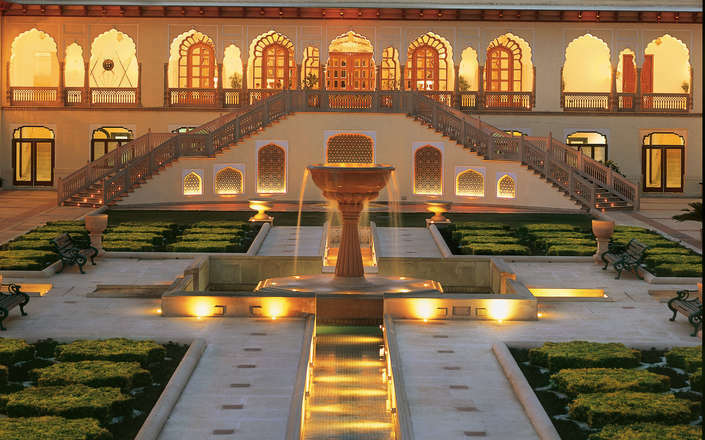 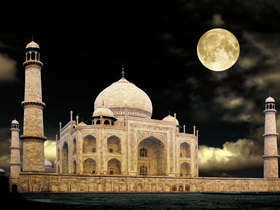 Suvarna Mahal serves authentic Indian cuisine.